Miss open enrollment for health insurance this year? You may still qualify. Open enrollment for 2016 health coverage has ended, and that means if you didn’t choose a health insurance option and you’re not covered by your employer’s insurance plan, you’ll have to wait until 2017 to get health insurance under the government’s open enrollment guidelines – unless you meet one of the criteria for a “special enrollment” or you’re eligible for another government-supported program. If you think you may qualify for one of these events or have a similar issue that prevented you from enrolling or affects your current enrollment, you can find out more about the special enrollment period by visiting the special enrollment page on the government website and using the enrollment qualification screener. You can also determine if you’re eligible for special enrollment by calling the Marketplace Call Center at 1-800-318-2596. If you feel an error was made in determining your eligibility for certain healthcare coverage or your effective coverage date is incorrect, you may also qualify for enrollment after the January 31 cutoff if you file for an appeal. You can also appeal if your request to be considered for special enrollment is denied. Details about the appeals process can also be found on the government website. No matter what circumstances caused you to miss the deadline, if you feel you qualify for an exception, it’s important to act as quickly as possible to determine if you can still enroll during the special enrollment period. Otherwise, you can be subject to fines for lack of coverage. Need more help? Demetree Insurance Services is here when you need us. Give us a call at 904-309-9331 today. Valentine’s Day: It’s a day for lovers – and a day for diamond engagement rings. According to a report from CNN, about six million people on average get engaged on Valentine’s Day, and most of those engagements involve a ring. Getting engaged is big news, and if you do get a ring – diamond or otherwise – this Valentine’s Day, there’s a good chance you’ll be telling everyone you know, from your mom and dad to your best friend to your coworkers and just about anyone else you want to share your good news. But if you’re like a lot of people, there’s one more important party you should contact: Your insurance agent. Of course, your engagement ring has a lot of sentimental value – but it also has a monetary value, and depending on how costly it was, it may need to be insured; according to a recent New York Time article, the average cost of an engagement ring is about $4,000 – no small chunk of change. And if you’re thinking your homeowner’s policy already provides coverage for diamond engagement rings and other jewelry, think again: Homeowner’s policies are not designed to cover the loss of high-valuable items like jewelry, artwork and antiques, which means you’ll need to invest in a separate policy “add-on” called a rider to be sure you have the coverage you need. Before you start worrying about the extra cost of insuring your ring, take heart: Insurance riders can be amazingly affordable, usually costing just a few dollars extra per month, and the cost can be rolled into your regular premium so it’s even more affordable to have the protection you need for your peace of mind. Getting a rider usually begins with an appraisal, which is often provided at no cost when a ring is purchased. If your purchase didn’t include an appraisal or your ring is an antique or family heirloom, you’ll need to arrange to have the ring appraised. Many jewelry stores offer appraisals for a very low sum; just be sure to receive a written appraisal and make two copies – give a copy to your insurance company or agent and keep the second copy for yourself, somewhere safe like in a lockbox. Buying insurance for an engagement ring may not be the most romantic notion, but it is an important part of protecting your investment – and since it doesn’t cost a lot of money, it’s an investment in security that everyone can afford. Whether you drive a full-sized truck or the smallest compact hatchback you could find, you can’t go without the protection of car insurance. Insuring your vehicle helps you comply with state regulations and pay for the consequences of an accident. If you feel like you’re overpaying and you’re ready to shop around for a new insurance plan, consider these three methods that are listed from good to best. Most people start with apps and websites offering quotes from multiple insurers from filling out a single form. While this approach certainly saves time, it doesn’t always help you figure out what each policy covers in exchange for the listed fee. One company may be quoting you a barebones liability policy, while the next option that is only a few dollars more per month includes a lot more for the money. You’ll still need to do plenty of extra research to find out how the company handles claims and whether their customers are satisfied or not. Talking to friends and family members about their experiences with different car insurance providers can work a little better. Hearing real stories about how an accident was handled or the difficulty of a certain company’s claims process can give you trustworthy information to base a decision on. However, there’s no guarantee that you’ll receive a similar rate as your great-aunt or your cousin who has taken a defensive driving course each year of his adult life. You’ll still need to request your own quotes to find out the rates available based on your driving history, your local area, and the vehicle you need to insure. Finally, visiting an insurance agent in person is the best way to shop for car insurance. An agent has access to all sorts of bargaining tools and discounts that most insurers won’t offer to members signing up on their own. They can also help immensely if you get into an accident and need extra help in preparing your claims and documenting your expenses. Having a local agent allows you to drop by with your payment five minutes before the due date deadline too. Shopping for personal automotive insurance shouldn’t take hours on end or an entire weekend out of your busy schedule. Speed up the process by combining the first two methods to quickly narrow down the options, then visit agents from the shortlist of insurance providers to settle on the right choice. Having adequate healthcare insurance isn’t just good for your peace of mind and your finances – it’s also the law. If you don’t have coverage through your employer, you need to find a healthcare insurance plan during the government’s open enrollment period or you could face fines and penalties. With so many options, choosing the plan that’s the right fit for your needs isn’t always easy. At Demetree, we make it our mission to make choosing insurance of any kind as easy as possible. Here’s a quick review of some of the most commonly asked questions about the open enrollment period to help you get the best coverage for your needs. When is the open enrollment period? Open enrollment for 2016 coverage began on November 1 and ends on January 31. Coverage can begin on January 1 as long as you enroll by December 15, on February 1 if you enroll by January 15, and on March 1 if you enroll between January 16 and January 31. What happens if I don’t like the plan I select? Open enrollment is only available at certain times of the year, so if you don’t like your plan, you’ll have to wait until next November to change it. That’s why it’s so critically important to take your time to make your selection during open enrollment: to ensure the plan you choose is the best one for you and anyone else covered under the plan. What happens if I get married or have a baby? Some life changes, like marriage, having a baby or adopting a child, or losing health coverage, qualify you for special enrollment circumstances, which means you can enroll at other times of the year. Your agent will be able to tell you more about these qualifying life events, or you can find more information at www.healthcare.gov. Can I keep the same plan I had in 2015? That depends on whether that plan is still being offered. Even if it is, it makes sense to review all your options, since new plans may be available now that are a better “fit” for your health and financial needs. What is the summary of benefits and coverage? The Affordable Care Act requires insurers to provide consumers with easy-to-understand summaries of what each plan offers to make comparing multiple plans much easier. When reviewing plans, read the summary first to get a broad overview. It can help you whittle your list down quickly. Still confused? You’re not alone. At Demetree, we have many clients who turn to us for help in understanding their options when it comes to all type of insurance, including healthcare. If you have questions, don’t wait until the last minute – call us today at (904) 398-5656, and let us help you find the best policy so you can get the peace of mind that comes from knowing you have the best coverage for your needs in 2016.
life, you should be visiting your physician once a year for annual physical exams as well. Seeing your doctor every year isn’t just some way for doctors to make some extra cash; annual exams are vitally important for establishing a continuum care that can help identify diseases in their earliest stages, when the signs and symptoms they cause can be very subtle. Plus, having regular checkups is the best way to make sure you get the preventative care you need to ward off serious chronic medical conditions, like heart disease and type II diabetes, which can become more common as you get older. One of the best reasons to have an annual physical is to learn about screening tests you can – and should – have at different ages and based on your individual health risk profile. Screening panels like blood tests, urinalysis and cancer screenings look for those tiny changes that can be difficult to detect with a physical exam alone, but which could indicate you’re at an increased risk for developing a disease – or could indicate a major disease process is already underway. Based on the results of those screenings, your doctor can implement a proactive strategy of care that helps reduce your risks or prevent a disease from progressing to a more serious stage. What screenings do I need? Your doctor will be able to determine which screenings are best for you based on your physical exam and medical history. If you haven’t had a physical exam recently, you owe it to yourself – and your loved ones – to schedule one as soon as possible. Routine annual exams are one of the simplest and most important steps you can take toward enjoying a healthy life for years to come. The holiday shopping season is just around the corner, and with it comes lots of purchasing online as well as an increased use of credit and debit cards in traditional “brick and mortar” stores. While credit cards and debit cards are a convenient alternative to paying cash for everything, every time you swipe your card or enter your information at an online e-tailer, you risk having your identity – or at the very least, your credit and debit card information – stolen. Of course, today’s e-tailers and stores use the most advanced technology to protect customer data. But as the Target identity theft debacle of 2013 revealed, even the biggest stores aren’t exempt from ardent hackers focused on stealing account information. Point-of-sale hacks aren’t the only thing you need to worry about when shopping this holiday season. Phishing activity also typically increases during periods of increased credit card use. Phishing is an attempt by would-be thieves to obtain personal information, like your account numbers, passwords, usernames, and social security numbers through deceptive phone calls, emails or other means. The typical phishing email or phone call begins by telling you your account needs to be updated, it’s been compromised or there’s been suspicious activity on the account, followed by a request for your personal data to re-establish your account and check for fraud. The problem is, these requests aren’t coming from your bank or credit card company; instead, they’re coming from the thieves and hackers themselves. Today’s phishing operations aren’t run in dark back rooms and basements, they’re sophisticated operations, raking in billions of dollars every year and often destroying the credit of their victims. Change your passwords frequently. Changing passwords and PINs on a regular basis can be a powerful tool to prevent identity theft. Be sure to pick a password that’s difficult to “crack,” including capital and small letters as well as special characters. Beware of emails in your spam folder. Today’s email programs are fairly good at detecting suspicious emails. Always beware of any email that asks for personal identification, and if the email appears to come from a trusted source like your bank or credit card company, it doesn’t hurt to call the bank or credit card company directly to speak to ask if the email is legitimate. Be careful of phone callers seeking your personal information. Never give out your account numbers or other personal information over the phone unless you have initiated the call using a number you know to be legitimate. 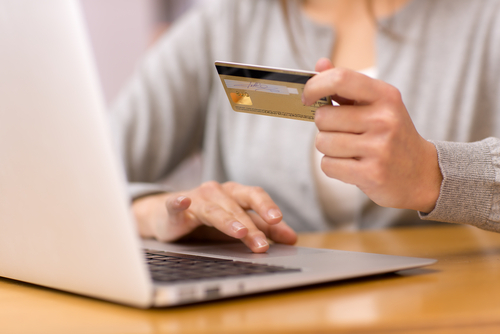 Look for the “s.” When shopping or banking online, be sure the site you’re using is secure. Secure sites have the letter “s” at the end of the “http” preceding the site name (“https”). There’s no reason to let identity theft mar your holiday season. Use these tips combined with a little common sense and you can significantly reduce the risk of having your identity stolen. Every day in the U.S., more than 300 children receive emergency room care for poisonings after they ingest medicines, household cleaners or other hazardous materials around the home. Of those 300 children, two die. To help ensure your children remain healthy, here’s a brief list of critical safety tips to implement in your home today. Know this number: 1-800-222-1222. It’s the toll-free number for the poison control hotline. Keep it handy – ideally, post it in a prominent place where you and other family members and babysitters will know where it is. Save it on your cellphone as well. The hotline is available 24 hours a day, seven days a week. Store medicines, household cleaners and other poisonous chemical products out of the reach of children, preferably in a locked cabinet. Never store cleaners and other hazardous chemical products in an unlocked cabinet, under the sink, or where children can reach them with a step stool. Never refer to medicine as candy. 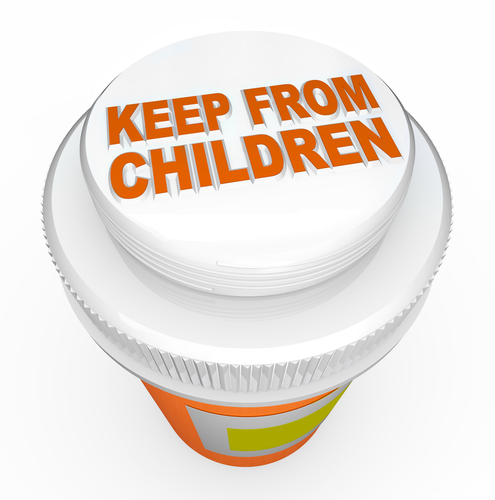 When taking medication, don’t place your medicines on the counter where children can reach them. If you’re interrupted while preparing medicines, never leave them unattended – even for a moment. Take advantage of child safety caps on medicines and cleaners. Don’t tamper with the lids, and don’t opt for easy-open caps on medicines. If you have houseguests, make sure they know to keep any medicines they may have locked away, so your children cannot reach them. Use the same rules for alcohol – keep it locked away and out of the reach of children. If the child is awake and alert, call the poison hotline immediately for instructions. Be sure to have this information on hand: the victim’s age and approximate weight, the container of medicine or poison that was consumed, the time when the poisoning occurred, and the address of where the poisoning occurred. If the child is unconscious, call 911 instead. Keeping your child safe from poisoning takes only a little effort, and implementing these safety practices is the first step. Take a moment today to look around your home and secure medicines and other potential poisons to help ensure your child’s safety and prevent potentially deadly accidents.